I did it! I signed up for my first half marathon! 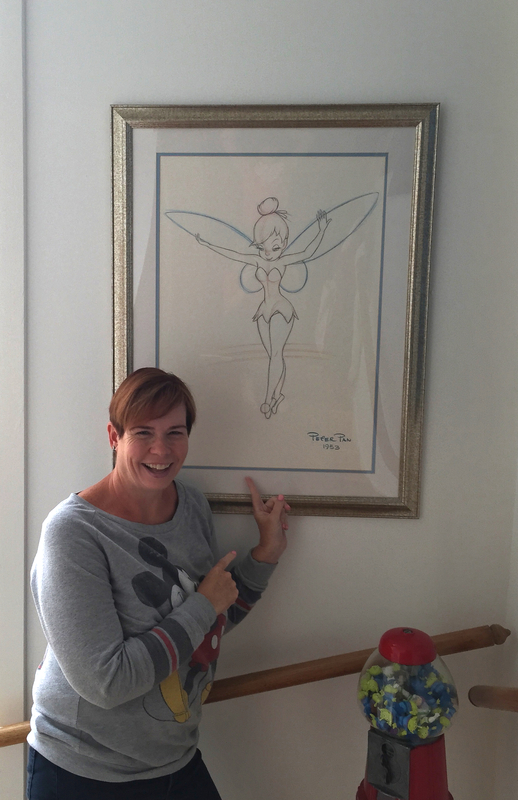 I hope Disneyland and Tinker Bell will be ready for me next year! Now, I’m not saying the summer was completely bad. We managed to have some wonderful family time on vacation. We’re all still in one piece, but I think we’re all looking forward to heading back to a routine that includes time away from each other. I think the school year provides structure, time with our friends and an appreciation for the time we do have with each other. For me, it is a time to refocus on my personal goals. I still haven’t been on the scale, but I know the weight that creeped up on me in the Spring is still there along with another pound or two. My clothes still fit, but not like they have in the past. I know what caused this: random snacking. Whether the kids and I were home or out and about, it was easy to grab a snack without thinking about it. Mindless eating has always been my downfall. Although I do have a smaller stomach from my gastric sleeve surgery, once my stomach empties out, I have room for more food. I really hate keeping a food journal, but I must admit, it might be time to start one again. Managing my stress is always one of my personal goals and this Fall it will be no different. My children will have completely different schedules so life will be changing again. I know it always works out, but until we come up with a working schedule, I worry. Since I’m a stay-at-home mom, I feel extra pressure to make their lives and our entire family’s schedule seamless. If this is my only job, I should do it really well, right? But then I remind myself that no one is perfect at any job, right? Right? To help me manage my stress, I realized I need to increase my physical activity. As a former sedentary woman, it still seems strange to tell myself to go for a run to feel better. But it works every single time. Even if it’s more of a walk than a run, I never regret going out to exercise. *I’m a goal oriented person, so having a goal like this helps me focus on what is important to achieve success. And by success, I mean my own version of success. Just finishing the marathon is success to me. My finish time is not important; finishing is important. *I’m the kind of woman who likes to have something to look forward to. Knowing that I will have a girls weekend in May at Disneyland will get me through the days when I’m overwhelmed. Thinking about that upcoming break from reality will get me through the stressful days. *This goal is all about me! This isn’t about my role as a mother or wife or friend or family member. I can’t control everything about myself in these roles. I admit I’m not particularly good in these roles from time to time, but thankfully I have understanding people in my life. I can control, though, how I handle this goal. It’s up to me to train properly, eat right and pick out the perfect race day outfit.